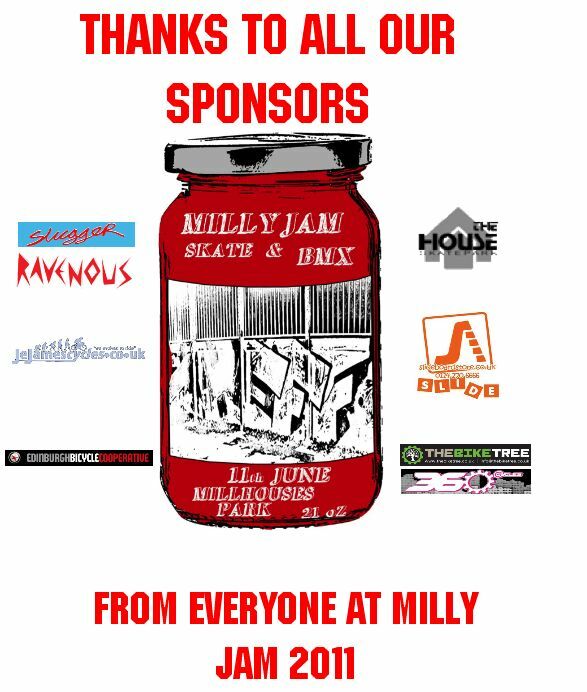 Your friendly neighbourhood skate park locals are planning the 6th Milly Jam for the 21st May 2016 with the backing of Friends of Millhouses Park. Thanks very much to all those people doing their bit to make this happen. Milly Jam is back on the 6th June 2015 courtesy of your friendly neighbourhood regulars with the backing of Friends of Millhouses Park. Thanks very much to all those people doing their bit to make this happen. Plan is pretty much the same as last year but if it rains we’ll try and delay until the day or weekend after. Milly Jam 2013 will be taking place on 8th June (15th June if it rains). Format and timings will be similar to last year and once again, we’re running a competition to come up with this year’s logo/t-shirt design. The winner gets a T shirt featuring their design. 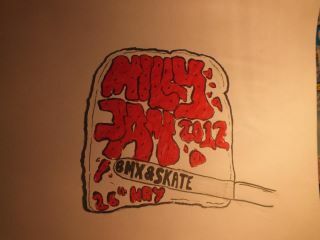 Designs should be submitted as hi-res files on the Milly Jam facebook wall – deadline is 14th April!! Milly Jam 2012 a HUGE success! CLICK HERE to see some photos of the competition! Are you there? Why not leave a comment? CLICK HERE for the full results listings! Why not visit the Milly Jam Facebook Wall ? Here are some proposed improvements to our skatepark! Why not let us know what you think by registering and leaving a comment below, or by clicking ‘contact’ in the links list above? (Please note that Friends of Millhouses Park are not responsible for web content which is not hosted on our site). looks sick, would be great to see this go through! Friends of Millhouses Park would love to hear from you.